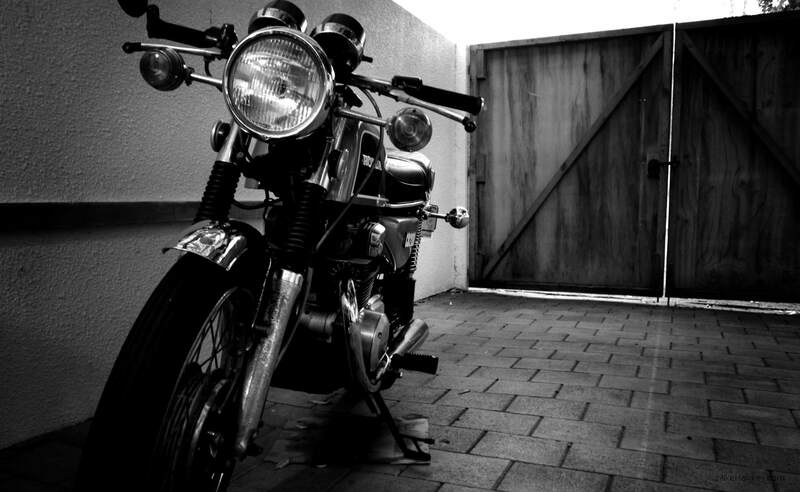 Locked under cover, behind a fence, my motorbike sits and waits for sunny days. I enjoy riding around, but winter, be it the frosty mornings, or wet rainy days takes away from some of the excitement and its much easier to hop into a dry heated car! Shooting in B&W and adding a vignette in post, I wanted to create the feeling of the bike having no where to go, and just sitting ‘for an age’. Taken on the Ricoh GRD IV. For those interested, the bike is a 75 CB200.